Cheese Selection Can Be A Dark Art, So Get Some Expert Advice - And Free Tastes! 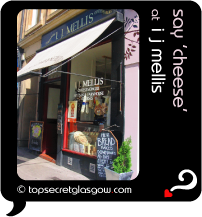 You don't have to be Wallace (or Gromit) to proudly declare your passion for cheese in Glasgow. The city is one great cheese board of delis to pick up your favourite chunk or taste and try some new artisan secret. We even have one very special place devoted lovingly and entirely to the after-dinner favourite... the humble cheese. Great news! Finding this page means you can now join our VIP list for SHOP for Cheese. Time to grab your very own page for SHOP for Cheese. Do you have a special story about a time you decided to SHOP for Cheese? A funny experience? A grand occasion? A funky photo? A personal tip? A top secret?